Last week we discussed the importance of Kaizen as a lean tool to improve the work place productivity as well as our individual lives. The natural progression of Kaizen is standardization. Through the Kaizen we reach certain level of specialization in each attempt. When we see we have reached a certain level of mastery over a process or work method, it is important to analyze it and standardize the procedure so everybody in the workplace or throughout the company could follow the same steps without having to go through trial and error or using yesteryear methods. The most effective method to implement standardization to a company is by creating a standard operating procedure which we call SOP. This is the most common and easiest method to develop, document & use standardization. Ensure relevant manager is checked and signed each SOP to avoid mistakes and future disputes. There are 3 main components in the properly thought out standardize work. 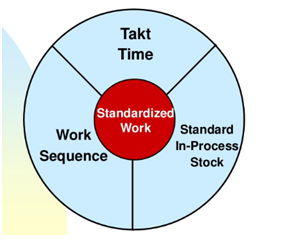 Those are Takt time, correct & efficient sequence and standard in process materials. Takt time: Takt time is how many pieces needed to be done in order to meet the demand or delivery in the case of apparel industry. Takt time need to be calculated for each operation so where needed we could balance the line with coupling work or putting additional work stations. Work sequence: Work sequence highlights the importance of having a smooth layout. It is important to work out the number of machines, what types of machines and how many operators and helpers needed to carry out the task. Standard in-process materials discuss the work in progress which we known as WIP. It is important to have the right amount of work available to perform the operation. Let’s say line-A producing printed round neck T-shirts. When planning production, manager has to ensure print panels are available on time to run the line. For an example, if the daily target is 500 pieces, then printing plant needs to ensure they deliver daily requirement ahead of the time. Otherwise line idling is the result and overtime to cover it up or ended up in missing the deadlines. Sounds simple and most of the readers will be thinking, of course you have to plan embellishments and other trims before the input. But how many times we have missed production targets due to mistakes in planning? This is where standardization and other lean tools come in handy. Once system in place, it is highly unlikely recurrence of obvious and simple but costly mistakes. Because everybody in the organization trained to think strategically and continuous improvement, are in the mind of everybody. There are tremendous benefits by having standardization as a part of the way of work in any organization. The most important benefit is the consistency. If we take apparel industry as an example, we all know how important each piece coming out of the machine has to be. Having the right quality and the right measurements are paramount. Imagine a situation where collars are too long or too narrow for the body and nightmare situation most of us faced in the production lines? Some garments have puckering, some garments measurements out and eventually creating a huge headache for all involved. Through the standardization easily these mistakes can be avoided. As a part of SOP, line supervisor could have a mock up collar on the machine, have a size spec attached to the machine table so after sewing each piece, operator could quickly check the length to ensure measurements are correct. Also diagram showing how to keep the parts of the collar and fusing on the table visually explaining the side and direction is necessary. So that operators don’t make mistakes and waste time trying to figure out how to arrange the pieces from the bundles. As we know people get absence without prior notice, people get replaced so chances are new person joining the production line is constant. If the company uses standardization as a tool, the time taken to train a new employee reduced by almost 30%. They become more productive employees and produce less damages. Other benefits include reliability, increase throughput and efficiency. As we discussed above, standardization help to reduce re-work, saving time and money and more importantly helping to meet the planned deadlines. Another great advantage of standardization is every tool, machine and equipment has a place of its own so people can find them easily. So no time wasted looking for an item when needed. Further, having a culture where everybody embraces doing things right, placing items in the correct place where they belong and give attention to detail, improve the work place atmosphere and the relations between employees and managers as nobody in distress. It is very important to note that standardize methods are only valid until KAIZEN finds another improved method. Once you have a better methods, processes or systems, it is important to change the previous SOP and replace with the new improved SOP. Most cases we have old SOP’s hanging on the machines and work stations. These are the companies who follow LEAN just to make buyers happy and have no idea what these lean tools represent. 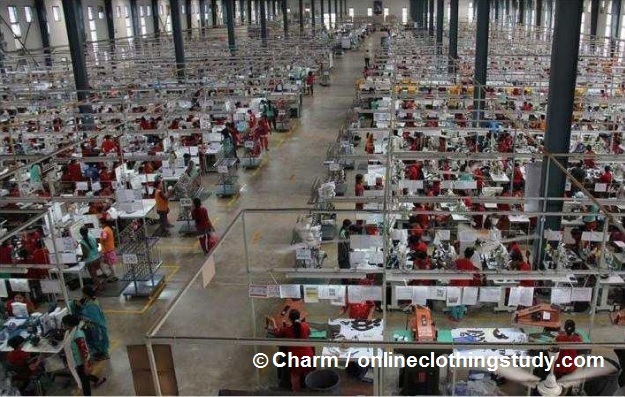 Standardization and its importance in apparel manufacturing.